According to the UN estimate, nearly 58,600 Rohingya refugees have fled into neighbouring Bangladesh from Myanmar. Another 20,000 Rohingyas are thought to be stuck along the Naf river, which forms the border between the two countries, a BBC report said. Yangon, Sep 2 More than 2,600 houses have been burned down over the past week in the Rohingya-majority areas of the country’s northwest, the Myanmar government said on Saturday, in one of the deadliest outbreaks of violence involving the Muslim minority in decades. “A total of 2,625 houses from Kotankauk, Myinlut and Kyikanpyin villages and two wards in Maungtaw were burned down,” the state-run Global New Light of Myanmar reported. The Myanmar officials blamed the Arakan Rohingya Salvation Army (ARSA), which is said to be defending Rohingya Muslims, for the fires in Rakhine villages. The group claimed responsibility for last week’s coordinated attacks on Army posts, which led to further clashes and a major clampdown by the country’s military forces. 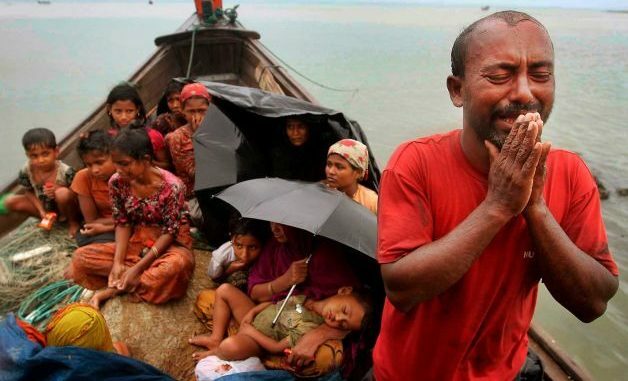 The Rohingya Muslims fleeing the violence to Bangladesh, however, insist that a campaign of arson and killings by the Myanmarese Army aimed at forcing them out of the country is responsible for the carnage and destruction in the area, according to reports. 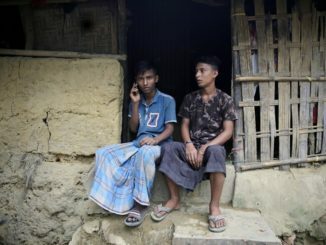 The skirmishes and ensuing Army crackdown have killed at least 400 people and led to evacuation of more than 11,700 “ethnic residents” from the area, government officials said, referring to the non-Muslim population of northern Rakhine. Aid agencies say they are at risk from drowning, disease and venomous snakes. Meanwhile, the United Nations World Food Programme (WFP) has suspended aid work in Rakhine amid the intensifying violence. “We are coordinating with the authorities to resume distribution for all affected communities as soon as possible, including for any people newly affected by the current unrest,” the WFP said in a statement. The suspension of food assistance operations would affect 250,000 internally displaced and “other most vulnerable populations,” the statement added. 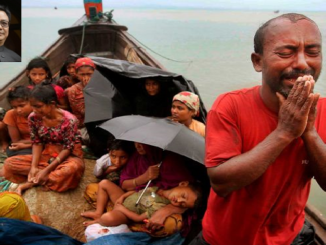 Rakhine, the poorest region in Myanmar, is home to more than a million Rohingyas. 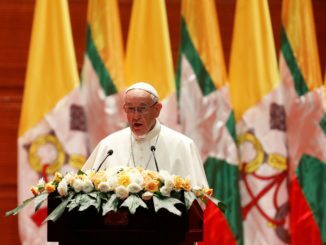 They have faced decades of persecution in Buddhist-majority Myanmar, where they are not considered citizens. Between 300,000 and 500,000 Rohingyas live in Bangladesh but only about 32,000 of them have refugee status and live in camps in the Cox’s Bazar district.